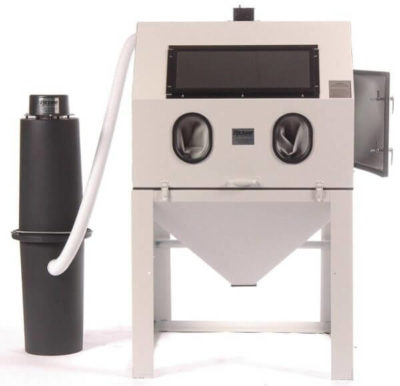 Sandblasting, dust collection systems, and abrasive blasting industry news. The source on the best products, latest trends, and industry information. DIY Sandblast Cabinets - Deals on like new & rebates! Do you just love getting into DIY projects? Ever thought about etching glass or stone? Did you know a sandblast cabinet is not just for industrial applications? These amazing machines work hard no matter where you put them. 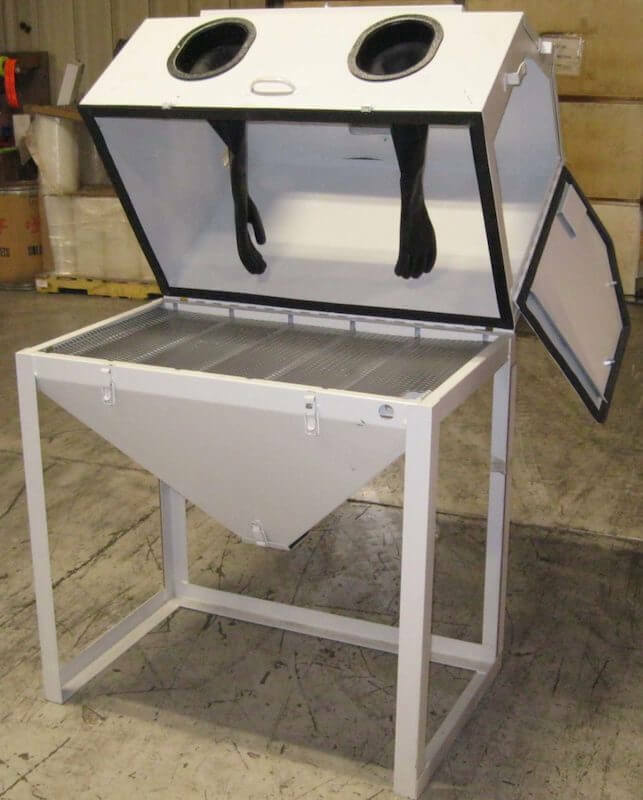 Cyclone cabinets are high quality welded steel made in Michigan - USA. We have a like-new 38"x24" sandblast cabinet available today for $750 + Shipping and it includes a dust collector (photo shown)! 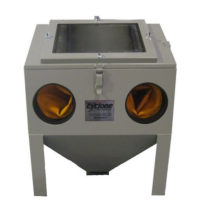 We are also promoting our large 40"x40" cabinet for $1,748 + Shipping - also includes dust collector. 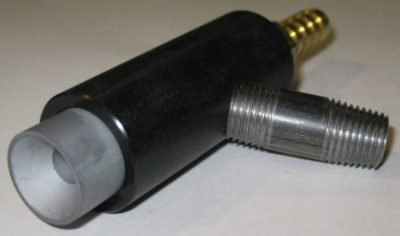 A bead blaster propels bead shaped abrasive media from an air powered bead blaster gun. An in depth review of “what is sandblasting” may be in order if this is your first experience with any kind of blasting. That post discusses the overall “blasting” process. For now, we will focus on bead blasting. We hope that if you are searching for a bead blaster for sale, or just are curious that this information helps you. In this discussion, we are going to focus on bead blasting cabinets. There are other ways to blast without a cabinet. But we just want to keep the discussion focused and easy to follow. As you know by now, the cabinet has a few names: sand blast cabinet, media or abrasive blast cabinet. Notice anything? That’s right, the cabinet stays the same, only the media is changing. The simplest answer to “what is a bead blaster” is simply a blast gun that pushes out a bead shaped media. Because that is an overly simple explanation we want to add some detail, especially about the shape. The term bead implies a round shape and that is exactly what we are talking about. 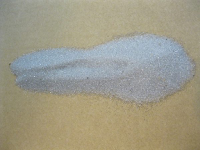 Specifically, we are going to talk about glass beads for a glass bead blaster or bead blaster gun. The round shape is pretty easy to explain. 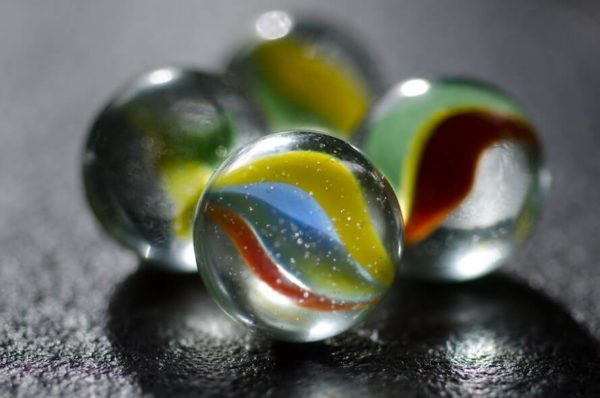 Many of us may be familiar with playing marbles as a kid. If you can picture a marble, shrink that image down and you basically have glass beads. Glass beads for a bead blaster gun are of course much smaller. Glass beads come in a variety of sizes or “grits”. Some of the most common are 40-60, 60-100, 100-170, and 170-325. Other ways of referring to glass beads are course and fine. More information about glass beads is available by clicking here. Overall, we are talking about the diameter of the bead. Bigger (course) beads have more energy and can are more likely to penetrate the surface of the material being blasted. Smaller (fine) glass beads are better suited for reaching into small spaces and carry less energy. As a result they don’t impact the work surface as hard and penetrate less further into the surface. The technical term for this is the “density”. We won’t go into that here, you can read about that here. Choosing a glass bead configuration for a glass bead blaster can be tough, but Cyclone can help. 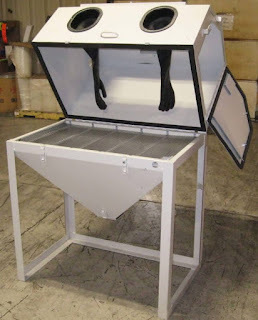 Earlier we mentioned our emphasis on bead blasting cabinets. It is worth reviewing some important aspects of high quality cabinets. First, a good cabinet will be constructed of a solid material. Steel is a great choice because it is sturdy, lasts an incredibly long time, and is extremely durable. Next, look for good legs welded to the cabinet. 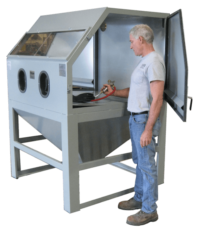 Bead blasting cabinets have to support the weight of the cabinet, the parts inside, and the glass bead media. As a result, legs that are unsteady will wobble. This can be dangerous and frustrating to the person doing the work. Other important characteristics of a quality cabinet include view window protection, comfortable bead blaster gloves, sealing to prevent leaks, and a powerful bead blaster gun. As a result, these characteristics will give the user a great blasting experience. All Cyclone bead blasters come equipped with these items and more. Cabinet Sealing – NO LEAKS! Next, look for a good seal inside the cabinet. Sealing the cabinet ensures that dust and debris inside the cabinet does not exit the cabinet. Abrasive dust and debris can be a health hazard and safety risk. Inhalation of dust and slippery media on the floor can seriously injure or kill the user. Read a little more on abrasive blasting safety here. Trust our Cyclone cabinets to not leak. We seal and quality check cabinets to protect against leaks. An often overlooked aspect of a cabinet is the view window. Large windows are ideal for observing the parts and work inside the cabinet. Most importantly, be sure your view window has protection on the inside. Over time, abrasives will cause “frosting” on the glass and make visibility extremely poor. Cyclone always includes protective sheets on our view windows. 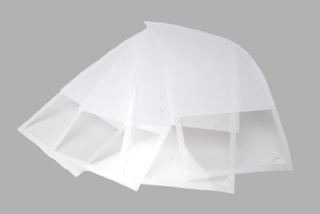 These user replaceable sheets protect the actual glass from abrasives and keep you blasting longer and with great visibility. 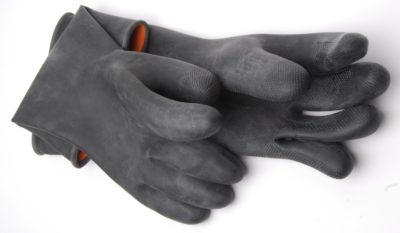 Comfortable bead blaster gloves make the use of the cabinet both safer and more comfortable. The gloves are connected to the cabinet. Then, the user puts their hand into the gloves to do the work. Gloves are important because they protect the user’s hands from the abrasive blast. Additionally, comfortable and good quality gloves give a solid grip on the bead blaster gun. Finally, and perhaps most critical, is the bead blaster gun. Because we are blasting, we can’t do it without a blast gun! Proper blast gun design can be complex. A blast gun can be operated with a trigger or foot pedal. It is up to the user, but a foot pedal operated cabinet can be more comfortable for users blasting for long periods of time. Trigger blast guns are no less powerful, but holding a trigger for an extended time can be tiring on the user. Copyright - Cyclone Manufacturing. Awesome Inc. theme. Powered by Blogger.